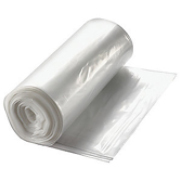 The coreless bag on roll making machine is designed to convert plastic films into coreless plastic bag rolls. 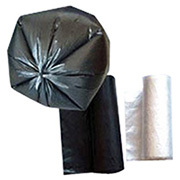 Garbage bags, trash bags, trash bin liner and disposable bags are the most common products which are produced by this machine. The coreless bag on roll bag making machine can be installed with C folder or Star folder to make the bags with more layers. Sofra bag roll can be produced by this machine as well. Each bag on the roll is individually folded and sealed. 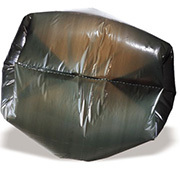 After strong bottom sealing, the bags are cut by the perforation knife to ensure the bags can be torn off easily. Recently, the film producers are using more and more recycled material/ CaCO3 blended material for producing plastic films. 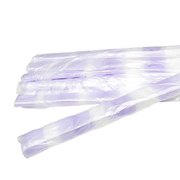 To make sure the bottom sealing part of the bag is strong enough, the sealing knife of Polystar's BR coreless bag on roll making machine is designed for sealing films made by virgin material and recycled/CaCO3 blended material. 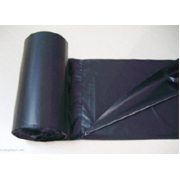 Both HDPE and LDPE films are able to be used on this coreless bag on roll making machine.